Mix Fruit Raita is a traditional Indian Cuisine Dish. Raita is generally served as a side dish, however Fruit Raita can be served as a snack and as a side dish during meal and during diet this alone will serve the purpose as a diet food, so you can describe this as one pot meal as well. 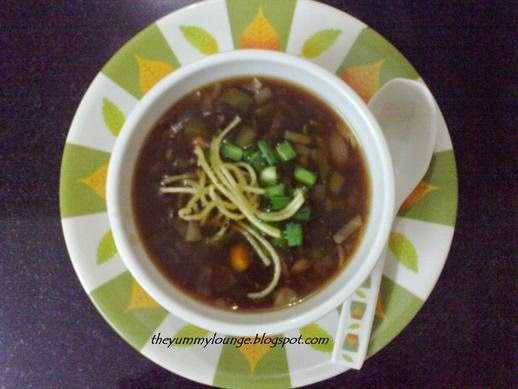 This is included in fasting (vrat) food in fasting festival like Navratri, Shivratri, Ramnavami, Ekadashi, Poornima, etc. 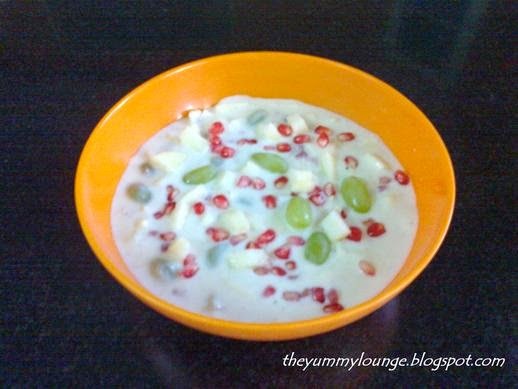 Here you can add any fruit in Mix Fruit Raita, that includes any seasonal fruit as well. Would recommend to take maximum 4 to 5 not beyond. Here Apple, Grapes and Pomegranate are selected. 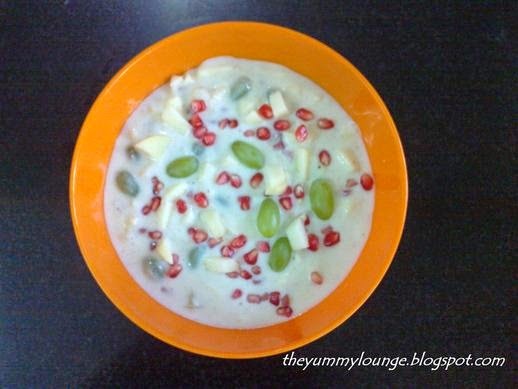 Mentioned below is very easy Mix Fruit Raita Recipe. See how to make step by step Mix Fruit Raita Recipe. 1. Wash grapes and apple well. 2. Peel apple and chop in small pieces. 4. Beat curd properly and make smooth consistency. 5. Now take a mixing bowl, add curd, salt, sugar, cumin powder, black pepper powder and mix well. 6. Add grapes, chopped apple and pomegranate (with juice as well, if any) and mix well. 7. Chill for ½ hour in refrigerator. 8. FRUIT RAITA is ready to serve. Serve Mix Fruit Raita in chilled form as a snack or with any savory item. 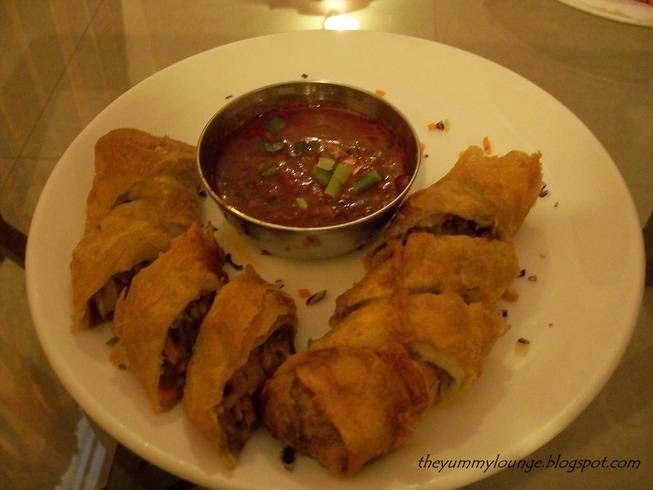 Visit The Yummy Lounge's profile on Pinterest.